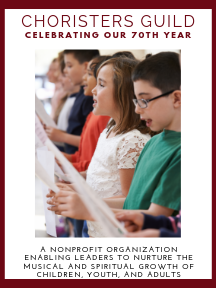 Appropriate for both older children's choir or youth choirs, this unique anthem, set in a jazz style, reinforces valuable lessons taught during the Lenten season and other times of year. The ""forty days and forty nights"" theme underscores the importance of setting aside time to reflect and pray, just as Jesus did in the wilderness. Also drawing from Old Testament stories of Noah and Moses, the anthem's writers emphasize the importance of waiting, trusting and following God's leadership.